Lunch served at 11:30, talk commences at noon. NOTE: Talk will be web-streamed beginning at noon. The live webcast begins on February 3 at 12:00 p.m. (CST). Please use the information below to access the event. This webcast will be streaming using ZOOM. If you are unfamiliar with ZOOM and would like a quick overview of what you will see when you join the webcast and the features you will be using, go to https://unlvideo.techsmithrelay.com/TCwM for a short tutorial. Registration is closed. If have questions, please contact Marie Barber at mbarber2@unl.edu or 472-4354. In her recent book, Minds Online: Teaching Effectively with Technology, Michelle Miller lays out the myriad of issues that instructors need to consider when developing fully online courses or in using technology elements when teaching traditional face-to-face classes. Educators are all in the business of changing minds: Instructors build new memories, guide students in developing new skills, and promote the development of values and mindsets. Attention, memory, and higher thought processes are three aspects of the mind that are particularly critical to learning, and are areas where instructional technology can be the most helpful. In this talk, Dr. Michelle Miller will explore principles connected to these three aspects of the mind, emphasizing the unique advantages that technology offers as instructors strive to use these principles in their teaching. These principles lead directly to practical strategies for getting students to direct their time productively and acquire the skills instructors want them to have. These strategies will be discussed in terms of how they help instructors plan learning activities and courses. 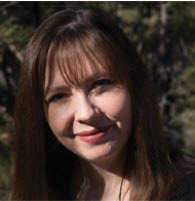 Michelle Miller is the Director of First Year Learning Initiatives and professor of psychological sciences at Northern Arizona University. She was recently recognized as a Northern Arizona University President’s Distinguished Teaching Fellow. Dr. Miller’s primary research fields are language and memory. Specifically, she has studied how normal aging affects the ability to produce and comprehend language, language production in brain-injured individuals, and how people produce and comprehend descriptions of interpersonal violence, such as crime reports published in the mass media. Dr. Miller also has interests in applied cognitive psychology, particularly how different pedagogical strategies affect student comprehension and retention of material in the social and natural sciences. She specializes in mobilizing faculty to adopt teaching strategies that leverage principles from cognitive and brain sciences to create more effective and engaging learning experiences. Dr. Miller has written and presented extensively on pedagogy and course design, and is the author of Minds Online: Teaching Effectively with Technology (2014, Harvard University Press). In Minds Online, she makes it clear that “technology alone does not promote learning, rather learning requires focused attention, effortful practice, and motivation”–concepts that align with recent syntheses of leaning science such as those presented by Susan Ambrose (2010) How Learning Works. According to the Harvard University Press,” Minds Online is a concise, nontechnical guide for academic leaders and instructors who seek to advance learning in a changing environment, through a sound scientific understanding of how the human brain assimilates knowledge.” In the book, Dr. Miller explores how attention, memory, and higher thought processes such as critical thinking and analytical reasoning can be enhanced through technology-aided approaches. This Campus Conversation is co-sponsored by UNL's Office of Online & Distance Education and NU Online Worldwide. Campus Conversations are a speaker series on key topics in distance education. They are hosted throughout the year on each campus and also web-streamed live for faculty and staff across the university system.